You must make reservations at least 5 minutes in advance of the time at Prima. Prima is committed to serving the best possible food while supporting our local farmers & ranchers. 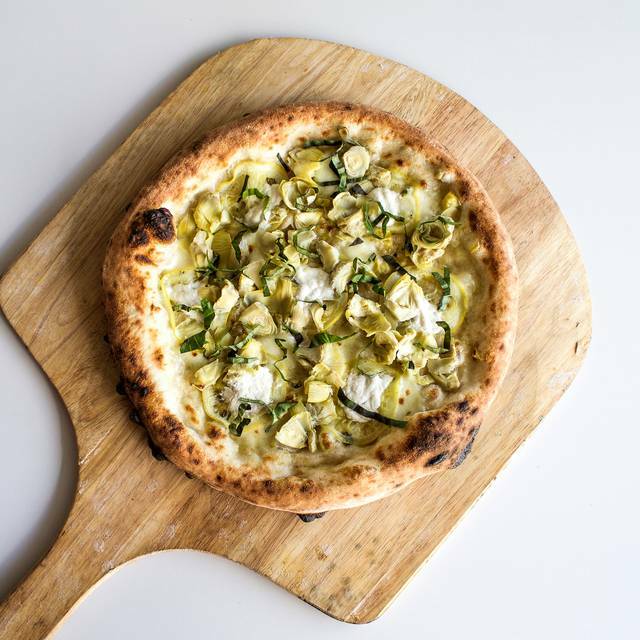 We are a modern american restaurant that also features kiawe wood fired brick oven pizzas. While using fresh local meats & produce, Prima's menu consists of many different flavors that customers can experience through share plate style eating. The menu is subject to changes due to local seasonal availability of products. 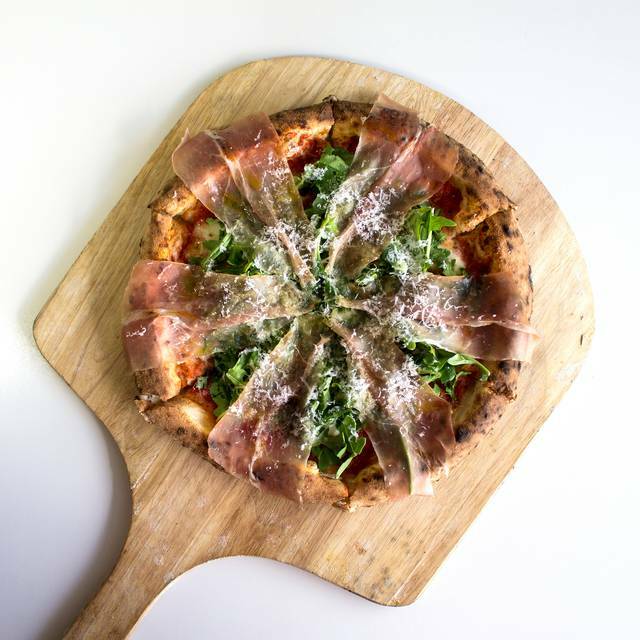 PRIMA’s thin crust pizzas are hand crafted & cooked in a STEFANO FERRARA oven using local kiawe wood. The kitchen counter & bar consist of recycled mahogany & stainless steel, while the rest of PRIMA’s interior features natural reused wood tables, comfortable Eames chairs, and recycled wood benches. The restaurant was closed!!!! Most of the lights in the restaurant were off when we arrived for our reservation. We saw someone cleaning the kitchen and told them that we had a dinner reservation that we made on Open Table. He said that was impossible because they’re closed Monday and Tuesday nights. Very very disappointed! We love their food and service! AM on Open Table. When we arrived the restaurant was closed. There was a sign on the door that they open at 11 am. 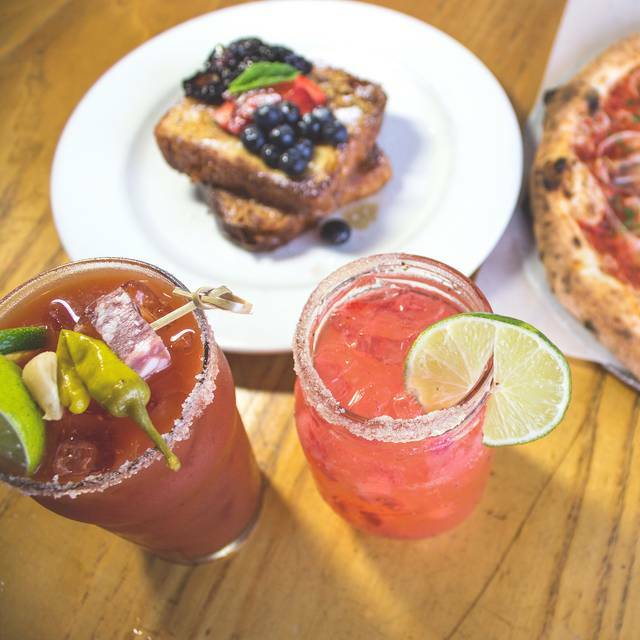 Why are brunch reservations available on Open Table if the restaurant doesn't open until 11 am? We went in the middle of the afternoon and it was empty, so the pizza arrived really quick and was delicious!!! They had lunch specials, so the price was great too! Getting a table was not problem with using OpenTable. The Hostess spoke very soft, we had to ask her many times to repeat things. Salad and chicken wings came quickly. The pizza that we order took very long time. Apparently they forgot about the pizza being in the oven and it had to redone the pizza. Would we go there again, it would not be my first choice. Food was AMAZINGLY good. Might be the best pizza I’ve had. Flavors were unique. With portraits on the walls of iconic rock stars - it was a crime that the wifi was down and couldn’t even stream mucus. It’s also BYOB. Beware. Pizza was mediocre. Definitely not worth $20 each. Toppings fell off crust. Also, menu online was not same as menu in restaurant. I pointed this out to the server and she just shrugged her shoulders and said “yeah that’s probably right.” Unfortunately the item we came in specifically to buy was no longer offered. The food was superb, and I'd definitely try this again. However, they were out of a lot of menu items, which was a bit disappointing. Noise level was high, although not many people were there. Still, I'd go back in a heartbeat to enjoy the house salad and their thin-crust pizza again. Maybe one of the best pizzaria on the island. 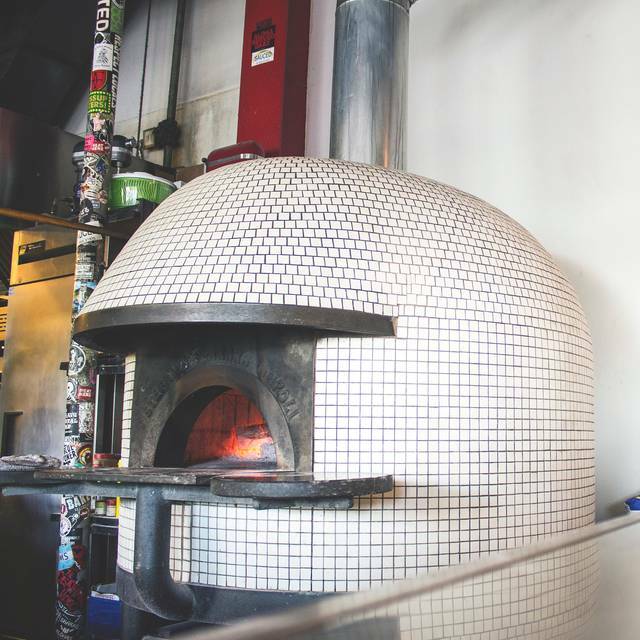 Delicious pizzas(real mozzarela cheese on top) are made in real brick oven. You can smell the wood burn. Best value for good price. 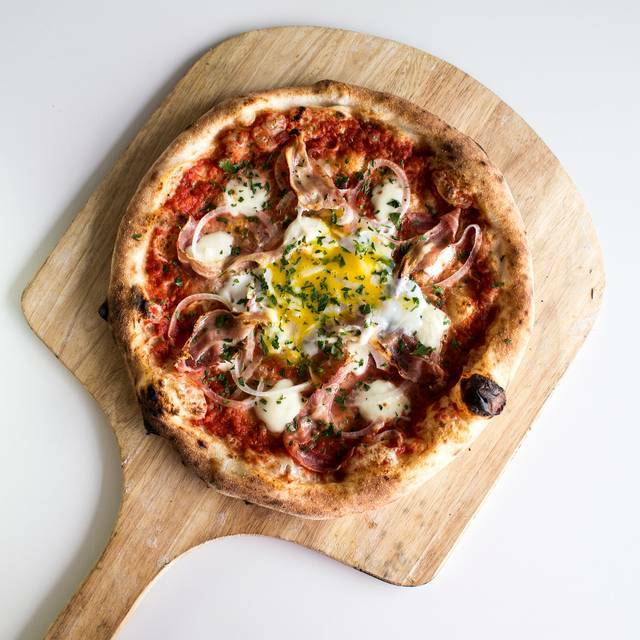 The Kona Street Pizza at Prima is the best Pizza on the Island! Usually only get Pizza but this time we tried the Pasta special which was amazing. Love that it’s BYOB - no corkage fee. They brought us ice bucket and champagne flutes at no charge. Service was awesome. Can’t wait to go back!! Great! It’s been a while since we’ve been back but salads and pizzas were excellent, service was attentive, and food came out quick. It was a good time. We realized after we got there that it was bring your own beer or wine. Luckily we were next to a store that sold alcohol and got some. The food was delicious and hot and the server although a tad forgetful, was very polite and hospitable. A friend told me about Prima. Her son lives in Hawaii and loves it and every time she and her husband visit they eat there. Do not be thrown off by its location in a strip mall or something he casual beach decor. The food is AMAZING! There were six people in our party and everyone loved what they ate. It’s BYOB which we did not realize but we just ran next door to the grocery store for beer. Also there is no corkage fee. Highly recommend this spot! Wonderful food. Fantastic wine list. A favorite restaurant! Despite the reservation, the waiter said he did not have time. The restaurant was half empty. So we have no choice but to leave. Food is normally pretty good here, however, the pizza we had was watery and dough was not thoroughly cooked. We were also told they did not have dough for garlic bread. I love Prima! The food is always tasty and still consistent all these years. Thank you! Prima is one of our favorite spots to eat in Kailua. The pizza is delicious! Even though we had a reservation, the restaurant had closed for the evening before we arrived, even though the restaurant’s scheduled closing time was still 20 minutes away. When I mentioned the reservation, I was told that they knew nothing about it. We had driven 30 minutes to reach the restaurant and went home again hungry. Small place, but good vibes and good Service. Great date and adult hang place. Pizza on menus when we went weren’t super kid friendly, but it’s possible they have a kids menu we just didn’t see. Overall good experience, need to go back and try again. 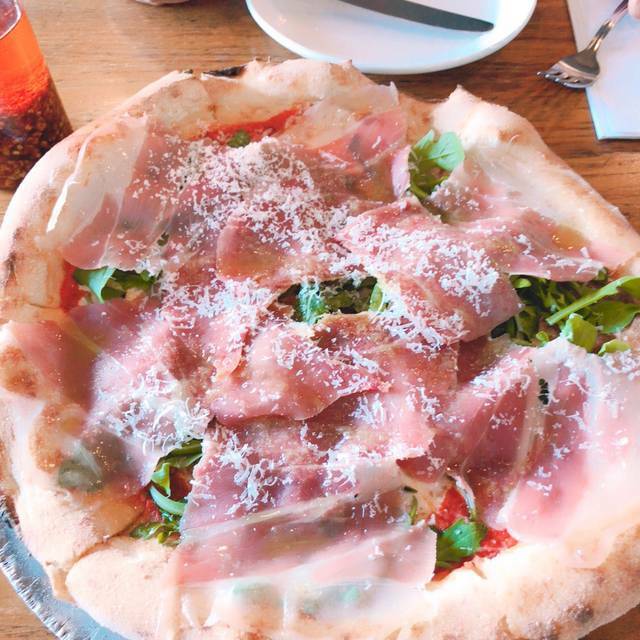 We love the pizza at Prima. Our favorite is the sopresatta! And the jalapeño margarita is amazing. I recommend you visit there. If you close the restaurant, you should not continue to take reservations. We had plans and we’re on a tight schedule to get to a theater performance. This was an inconvenience. Don't bother with OpenTable reservation. They don't pay attention to it and don't hold tables. Incredibly, they ran out of pizza dough by 6:30 PM on Sunday night. Pizza is good enough to at least try but don't expect anything super special about the place. It was better when you could bring your own bottle - their wine selection is way overpriced now. Showed up to a sign in the door saying the restaurant was closed. No call, no explanation. On Mother’s Day. I booked a table and showed up with my family including wife on mother’s day. There was a handwritten sign saying “closed open at 2 pm”. Our reservation was at 11:45 am Very disappointed as it took a lot of effort to get two young children ready and wanted to show my wife a nice lunch. Probably won’t go back. I would give Prima no stars if that were an option. I went here a number of times a few years ago and the food was insanely good. For Mother’s Day. Made a res on Open table for 9:30 am. Put a note in for manager to call me as wanted to add people to res. No one called. I called. Left messages. Twice. No call back. I called again. Was told they didn’t have my res. And they don’t open until 11. Changed res. Called again night before Mother’s Day to make sure everything was still good. Showed up on MD at 11. Prima was closed. Was told chef didn’t show up. They planned on opening at 2:30. My recommendation: if you are in the area and they are open check them out. Can’t say anything about the food but place clearly needs new management. Pizza is excellent, but service is very hit or miss. Great food and a friendly staff. Will return again! When it started getting crowded the food was undercooked. Pasta wasn’t al dente. When they remade it it was still a little undercooked but passable. The pizza, first one was cooked perfectly the second and third undercooked. The bread that came with the marrow was undercooked and doughy inside. This place is all about the pizza They do have a non-pizza menu with some apps and salads. But its the pizza that you come here for. 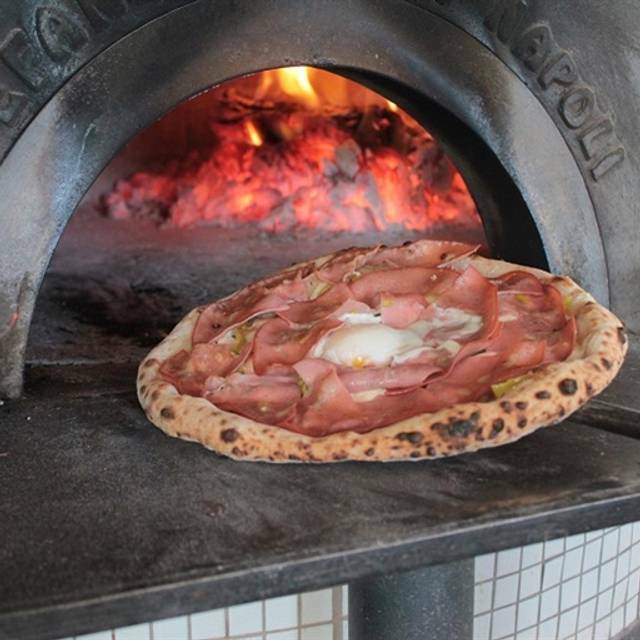 They have one of the best pizza ovens in Honolulu and they know how to use it. Easy parking. Friendly wine list and cold beer. Unfortunately, we may never dine here again, as the female server was quite rude to the Japanese tourists. When we were there for lunch, there were many more Japanese tourists than locals. It was obvious that the Japanese tourists were following a recommendation in some guidebook to patronize the place, but if the treatment of guests is consistently that way, I would tell the tourists to go elsewhere. They can surely experience the aloha spirit and have delicious food at so many other restaurants. We ordered the 5-P pizza and was told that it would take longer to prep because they would have to cut the pepperoni unless we decide to substitute it with another ingredient. I don’t understand how that would be an option - too lazy to prep our pizza with the ingredients it is supposed to have? Both pizzas we ordered were ok-tasting, nothing worth returning for. I would recommend this place with caution. The food is the highlight, as it should be. however, the service is unpredictable - sometimes it’s great and other times it’s slow and forgetful. Multiple times, we’ve waited over 45 minutes for one persons meal that was forgotten about (while everyone else had been served). I have been in several times when they’ve either run out of dough (this is before 7pm on a Friday) or are about to run out of dough. As a pizza place on a Friday night having been open for some time, they shouldn’t run out of dough in my opinion. 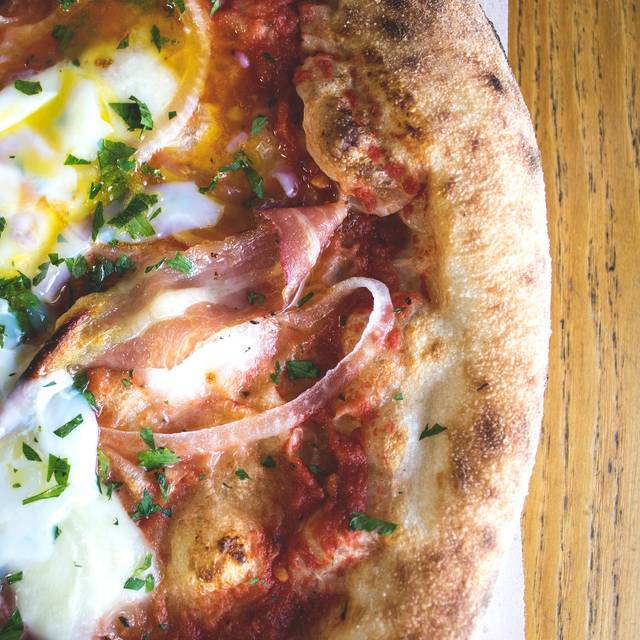 If you want great pizza, this place is it. Really tasty and better than the other pizza in Kailua. If you want ambiance and good, professional service I would perhaps warn you that you may find Prima frustrating. Open Table took my lunch reservation, though the restaurant was closed! Prima is a Kailua gem! Great drinks & pizza!! The service was wonderful. The staff is friendly.